I started school two weeks ago, taking two classes while working full time, and now I look at this blog with some anxiety, for my carefully laid plans have pretty much come apart, and I feel (not entirely incorrectly) that I am getting nothing done. 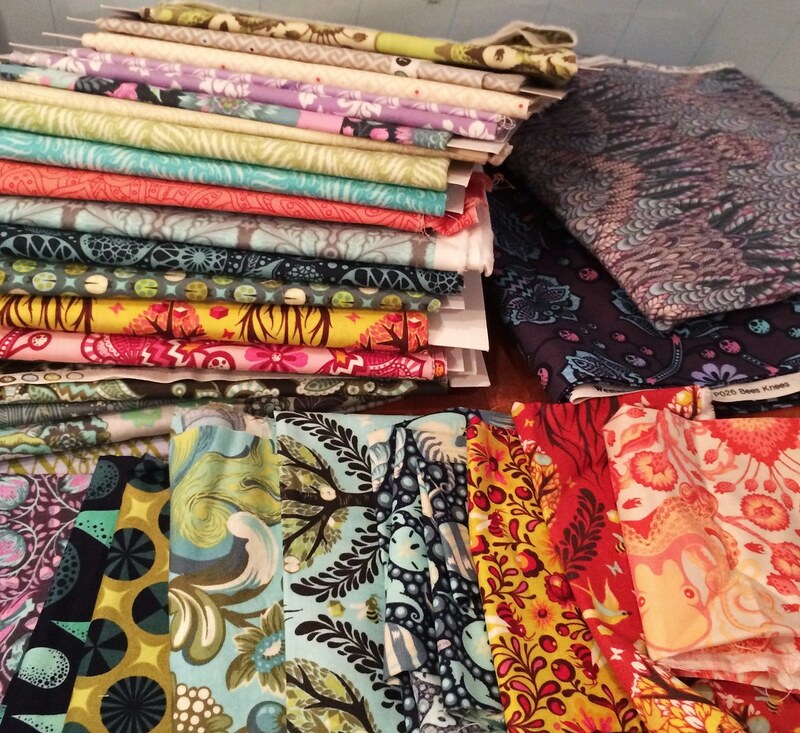 And also the thing I meant to blog about this week is in the laundry! 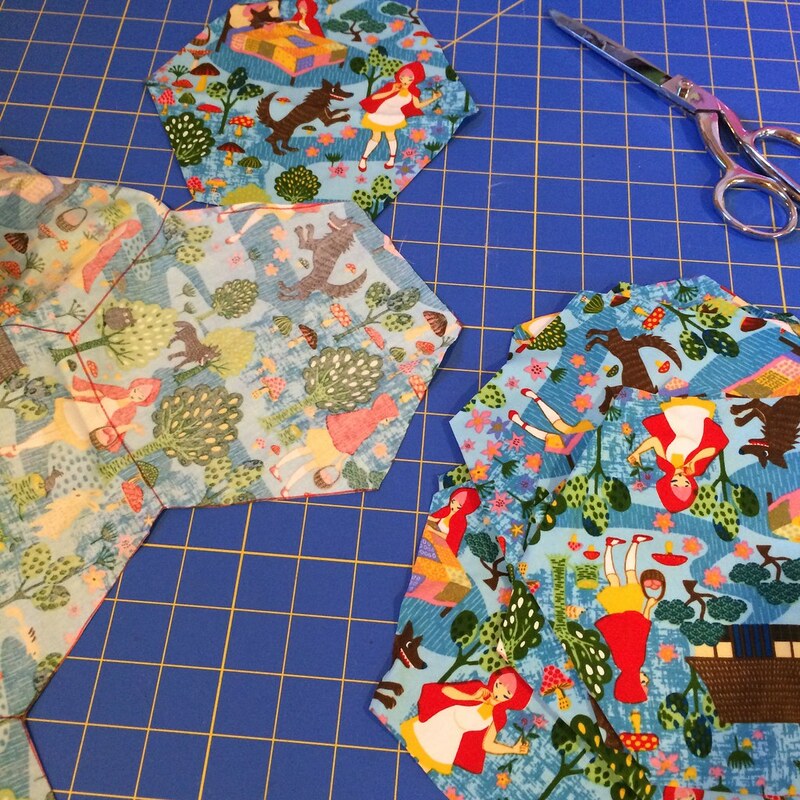 I've been cutting all this fabric into hexagons for a lap quilt. I marked it out with a red fabric marker, cause I thought: "It'll be in the seam allowance, so who cares?" But then there are the places where I messed up and the marker jumped away from the template, so there may be a hexagon or two that has to be discarded, because it does show up on the reverse side. I've started the spherical pincushion up again, this time with 5/8" sides. 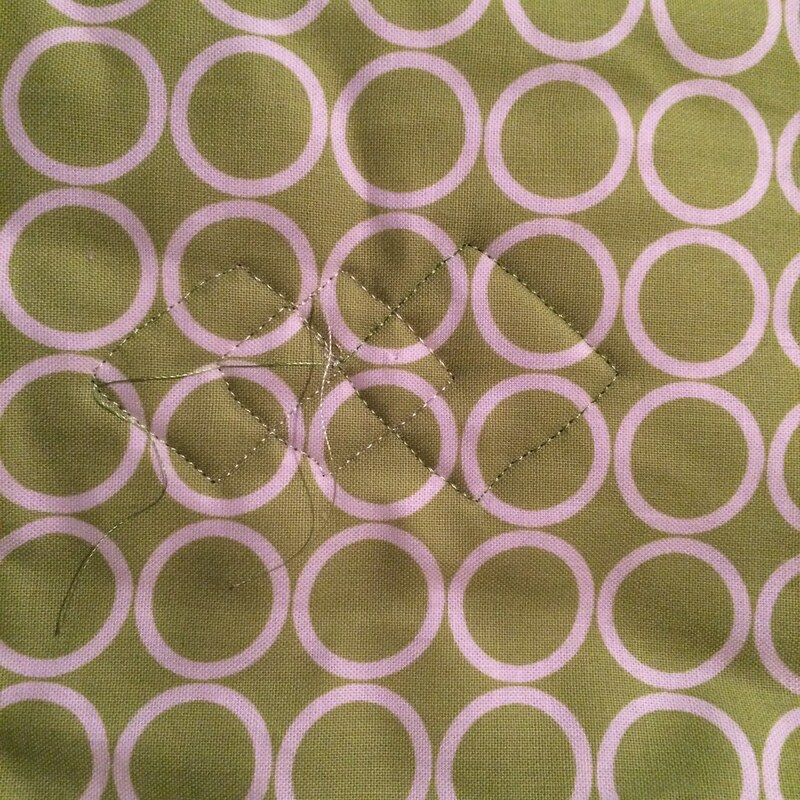 I'm burying the ends from the first round of free motion quilting on this baby quilt. And there are a lot of ends... Can't show the front, it's a secret! If you are working full time AND taking two classes, don't even worry about the blogging--we'll still be here when you have time to put up a post. As a proffie, I want you to worry about your homework and classes! 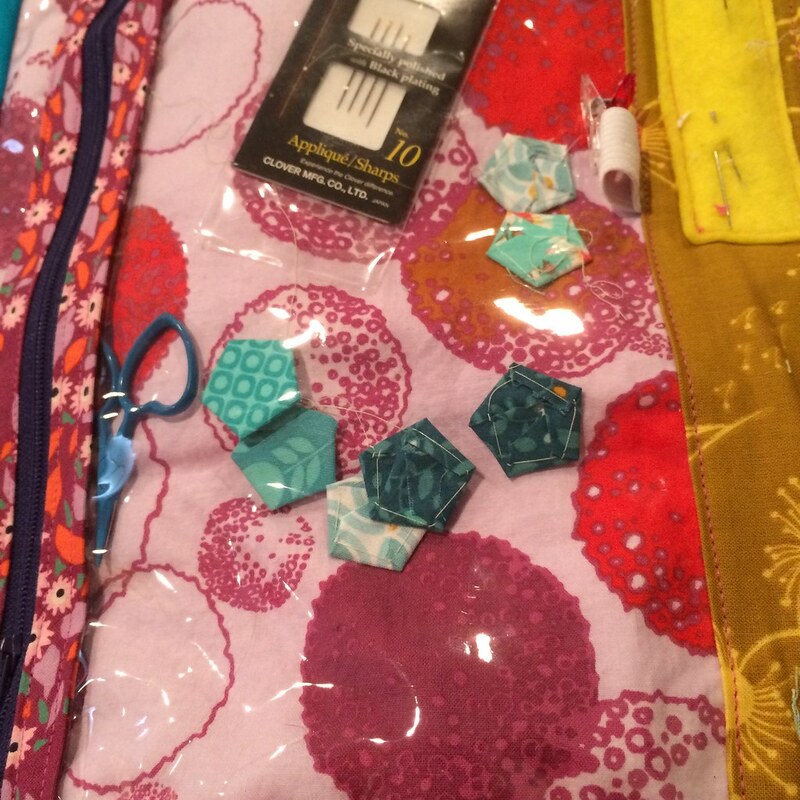 That said, you do have a lot of fun things going on in your quilting world, and the Tulas are intriguing. Hang in there!